This is a rectangular Humble porcelain sign. This particular Humble sign is white with maroon and black text. 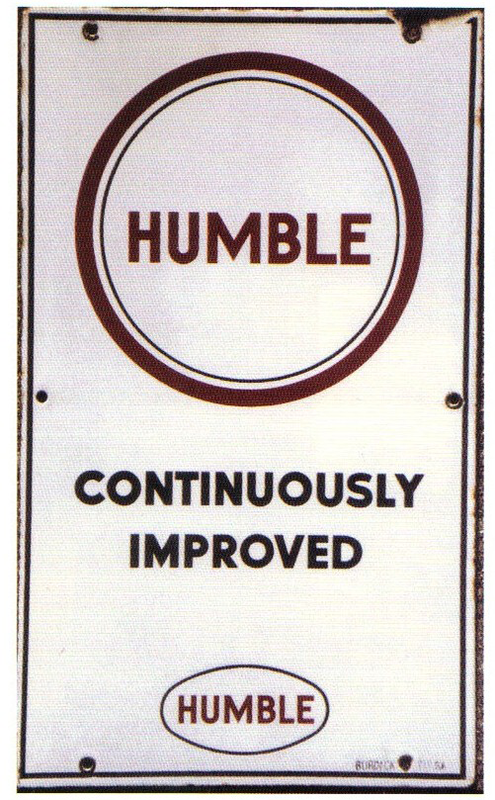 It reads, “Humble, Continuously Improved” and features maroon circle outline at the top of the sign.